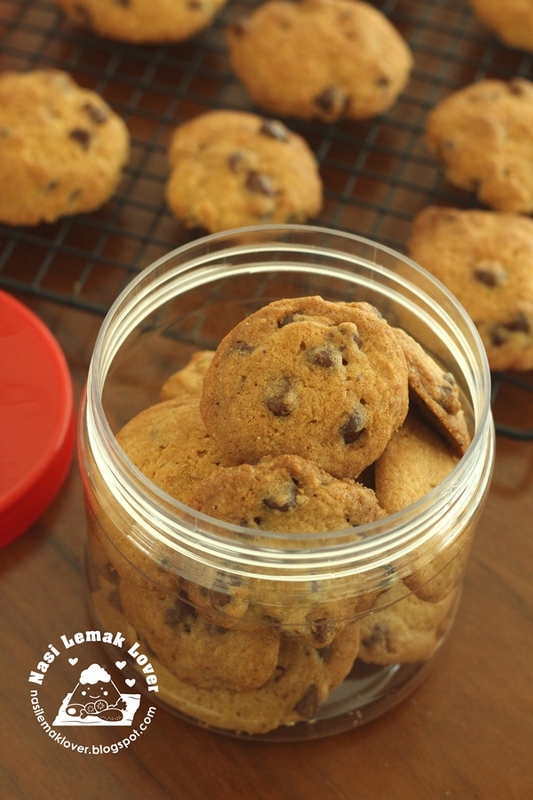 This American chocolate chips cookies supposed to taste chewy but since my kids prefer to be crunchy, so i have to tweak the recipe to become crunchy cookies instead. My little son will non stop munching this cookie whenever i made a batch. 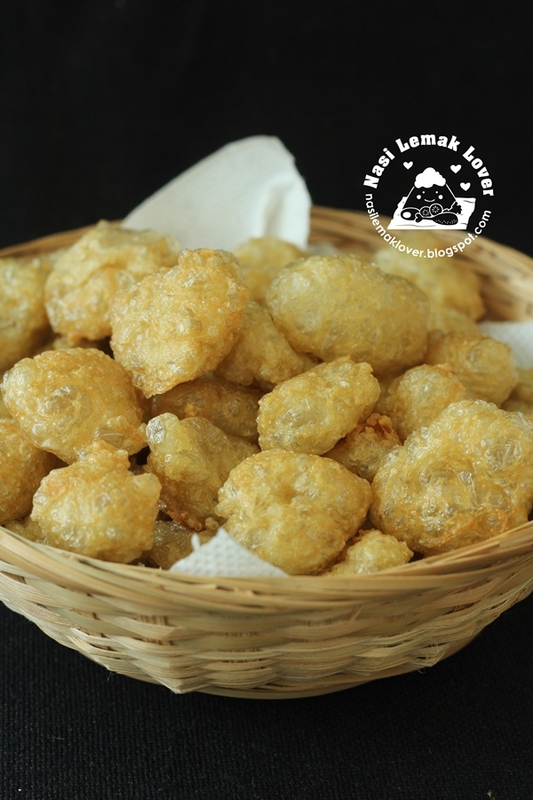 I didn't know this Nona Manis kuih until my hubby brought back home from office. 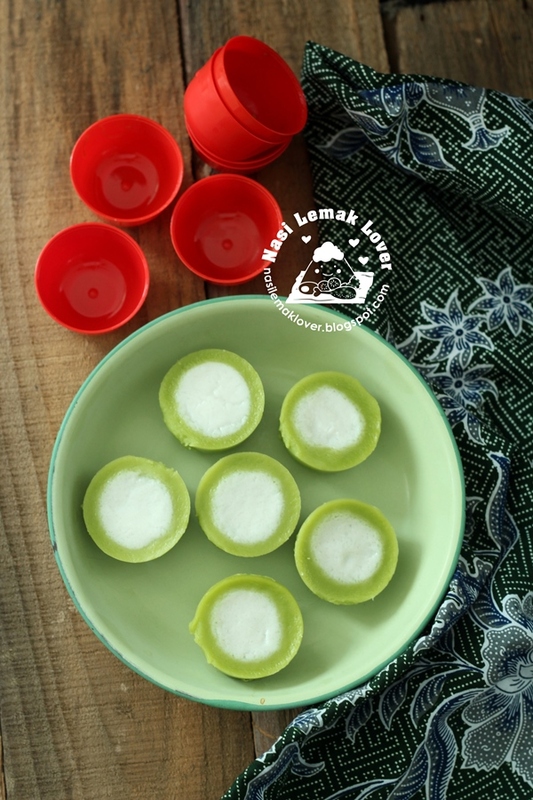 It seem this kuih is quite popular now. It tasted like kuih talam, nice and sweet pandan layer. salty coconut filling , just a perfect combo! This kuih took me 2nd trial to achieve its cute look! I have never thought of making this Chinese wheat gluten ( one of the ingredient use for vegetarian dish which is high in protein ) until recently learnt from my niece's MIL who is expert in making this Mian Jin 面筋 . Whenever i have extra cheddar cheese , sure remind me to bake a favourite Light cheddar cheese cake . 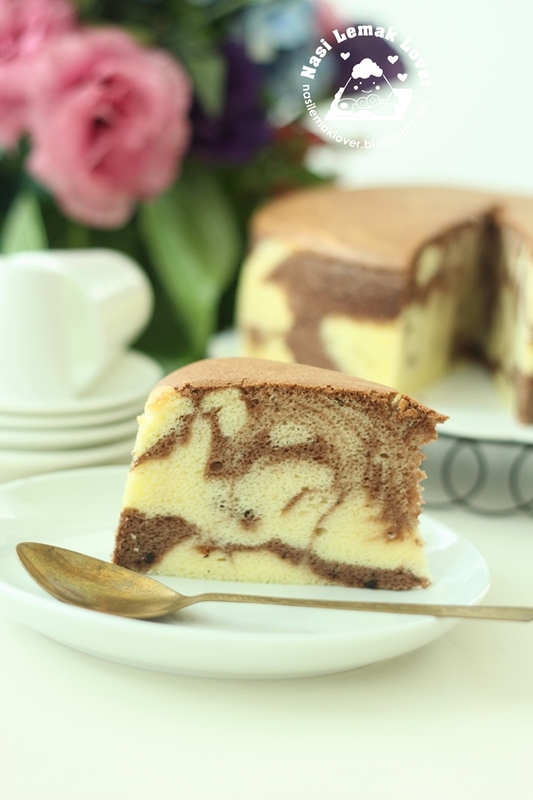 But this time, added cocoa powder and create the marble effect, still taste very good!